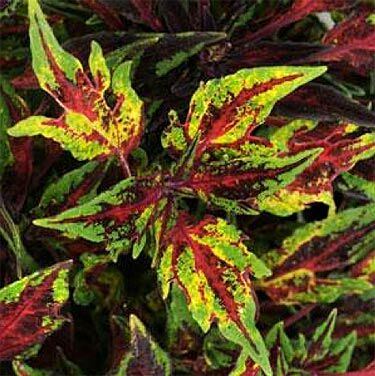 Here’s a great new coleus collection from Ball seed, finally a compact habit for the genus that works wonders in medium-size containers and smaller garden spaces. 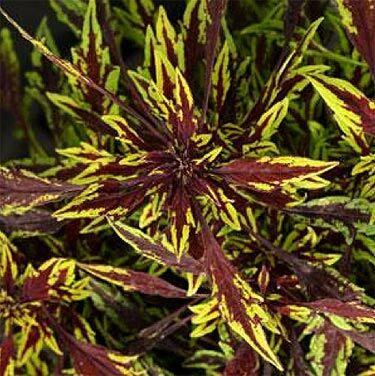 The three varieties you’ll see this spring at your nurseries are ‘Spiced Curry,’ ‘Chili Pepper’ and ‘Chipotle.’ All feature striking color combinations and electric patterns in gold, green and ruby red combinations. 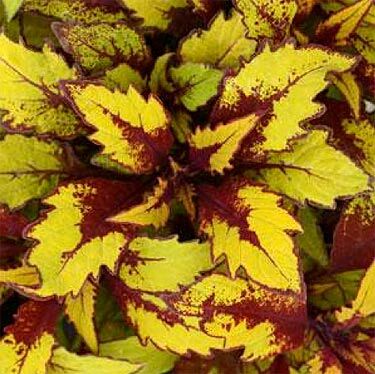 I consider coleus to be an essential foliage container plant, the only problem being they tend to mound up and out to the point of taking over the container. These new Flamethrowers, while not petite, have smaller leaves and a more upright habit that with regular snipping can keep the plant in the 18” tall to 16” wide range. Plants also make a lively addition to the flower garden. While touted as being for sun or shade, plants perform best in at least three hours direct sunlight, up to full sun. Fertilizing once a month and pinching off the appearance of the spires of blue flowers down one full leaf set below the flower spike will keep the foliage flowing all season.